Shady Cove- with covered boat slip! 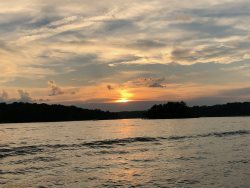 Smith Mountain Lake Vacation Rentals is a full service rental company managing vacation properties and long term rentals at beautiful Smith Mountain Lake, Virginia. We have a variety of rentals including homes, condos and town homes. With over twenty years of experience in the property management business, our goal is to provide our homeowners and vacation guests with the highest level of service in a professional and responsive manner.